Hi, I’m Anne Marie with Speak Confident English and this week for our confident English lesson, I want to start with a question for you. Have you ever watched a TV show or a film in English, but you could not understand the dialogue? Maybe you even felt lost, the pronunciation was challenging or they were just speaking too quickly. Have you ever listened to a conversation with your English-speaking colleagues and in their conversation, again, you couldn’t follow the conversation? The expressions were challenging. They were using clang words that you had never heard before. Again, it felt like they were speaking too quickly an the pronunciation or the accents were too challenging. If you can say yes to those questions, then I have good news for you because today we are going to talk about how you can improve your English language listening skills and understand native speakers more easily using podcasts. In this lesson, we’re going to talk about why podcasts are fantastic for helping you improve your English language skills. We’re also going to talk about how you can use podcasts specifically and the two types of podcasts you should be using. 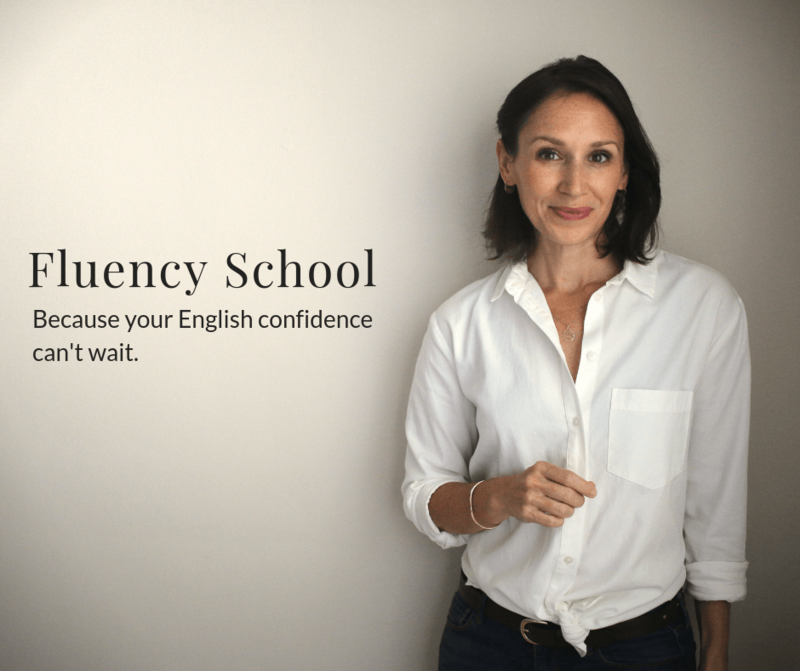 Let’s get started right away so that you can be on the road to improving your English language listening skills will always help you in building your fluency and your confidence. Why are podcasts so amazing for your English listening skills? There are a few reasons. Number one, you can use your tablet, your smartphone, your computer, or your laptop which means you can listen to a podcast anytime and anywhere. One of the greatest challenges in improving your English skills is time, having the time to commit to doing something in English. The perfect thing about podcasts is you can listen to them while you’re cooking dinner, commuting to work, taking your children to school, walking your dog, jogging for fitness, working out at the gym. There are so many times during the day when we have five or ten minutes when we can listen to something in English and improve our English listening skills. Podcasts are also available on every topic you can imagine so no matter what you are interested in, you can find a podcast on that topic and being interested in the podcast will help you stay motivated to do it every day and make it enjoyable so it’s fun and you look forward to it which is perfect when it’s something that you should do every day. Finally, another great reason podcasts are useful, they often have a transcript with them which means you can practice just listening or you can also read and listen at the same time, which is very useful for giving you additional support in learning different forms or patterns of pronunciation, vocabulary, and grammar. Now, let’s talk about specifically how you can use podcasts to improve your English listening skills. Let’s talk about a few recommendations for how you can begin using podcasts to improve your listening skills. These are the same recommendations that I use with my students. Number one of course is to choose five or ten minutes or find five or ten minutes during the day when you can really focus and listen. It’s okay if you’re also doing something else, for example, jogging or cooking. I love to listen to podcasts when I’m cooking. You do want to be able to give some energy to what you’re listening to, to focus on the language so that you can understand it and grow your skills. Number two is to choose a podcast that you’re interested in or a topic that you’re interested in. Remember we said that is really important for motivation and making it enjoyable. Number three, I often recommend that you start just with listening. Yes, most podcasts do come with a transcript, but in normal life, we don’t usually read as we’re listening to other people. It is important to build those listening skills from the beginning. I recommend listening to the podcast for those five or ten minutes and you can do some comprehension checks. You can try to summarize what you heard or identify the key points or any key vocabulary words. Then you can go back and use the transcript. Read as you listen and this can help you identify and adapt to some of those pronunciation patterns. You can start to connect the ways that we connect words and sounds in English and then you can start to mimic and use those same patterns, which will help you sound and speak more naturally when you communicate in English. Finally, my last recommendation is don’t give up. Even if this is challenging in the beginning at your level, as an intermediate level English speaker or above, it is really important that you begin to challenge yourself. It will help you push forward and make real progress, so don’t give up. It’s okay if the first few times you listen to a podcast, you still feel a little bit of those lost feelings. You will continue to grow and adapt if you do this every day and it will get easier and easier, so don’t give up. Finally, let’s talk about the two different types of podcasts available and why you should be listening to both. Group number one, we have podcasts specifically created for English language learners. The goal of these podcasts are to help you grow in your know how and your ability in English. They might focus on idiomatic expressions, vocabulary, grammar topics, or even how to, for example, how to improve your listening skills. These podcasts are a great place to start because they’re often a little bit easier to understand. They’re usually adapted to different levels of English. The podcasts that I recommend in today’s lesson are all designed for intermediate level English speakers or above. The speech in the podcasts are usually a bit slower. The pronunciation is clearer and there are explanations for idiomatic expressions, phrasal verbs, or challenging grammar use. The second group is Native English podcasts. These are podcasts developed by Native English speakers for Native English speakers. There is no slow speech. Everything is authentic and real. You are listening to real English used in real life. There are going to be slang expressions, idiomatic expressions. You’re going to hear different forms of intonation and stress and pronunciation, different accents. It can be challenging at the beginning, but if you do this and you do it every day, you will make progress. Your brain will adapt and begin to make the connections it needs to understand he language. You might think that they’re speaking very quickly, but you’re going to begin to understand the pronunciation patterns that will help you understand them and then you can begin to use those same forms of pronunciation and stress and intonation, those authentic, real expressions so that you sound more natural when you speak in English. There you have the two different types of podcasts and why you should listen to both. Both have fantastic benefits for your English language listening skills. If you enjoyed this lesson, make sure that you visit the lesson online where I’ve give you my eleven recommendations for podcasts. There are five that I recommend for English language learners and there are six podcasts that I’ve recommended that are Native English podcasts. Make sure to find five or ten minutes today where you can listen. Choose a podcast that is interesting to you and then take some time to really focus and listen and develop those skills. At the end of the online lesson, I would love to hear from you. I would love to hear your story and experience. Make sure that you take a couple of minutes to review the three questions that I have for you this week and leave your comments in the comments section. As always, thank you for joining me. I love having you here every Wednesday. If you found this useful, please be sure to share. You can subscribe to the youtube channel. Share this lesson on Facebook or Pintrest. Have a fantastic Wednesday and I’ll see you next week.